This offroad trail is a fun way to get into the 171 network and off the main roads sooner. It isn’t really that technical, but there are several sections which might prove tricky for lower clearance vehicles and/or require four wheel drive. 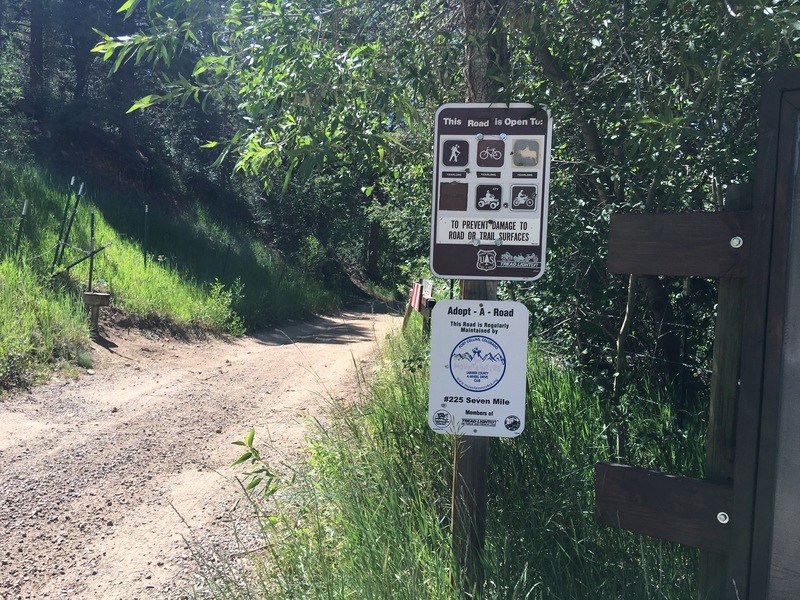 There are several creek crossings, as well as a portion of the trail which runs through Sevenmile Creek. 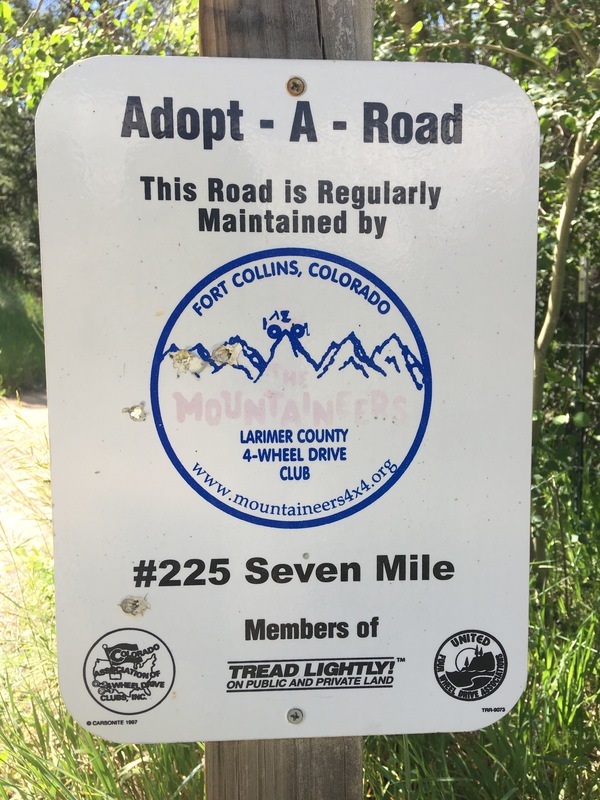 Note: there is another “Sevenmile Creek Road” in Chaffee County, which is completely different, obviously. The start of the trail is reasonably maintained but narrow. 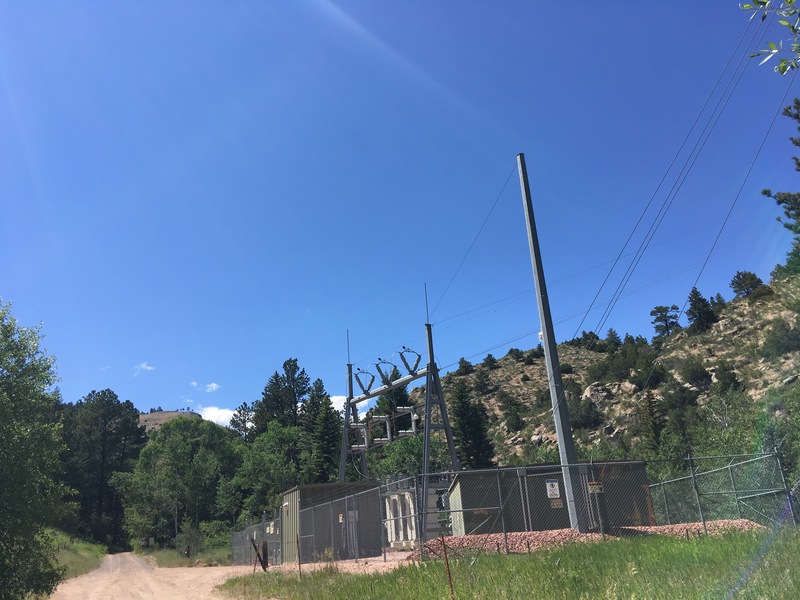 The first section, before the “official” start of Sevenmile Road (Forest Road 225) also serves as an access road for the Rustic, CO substation. 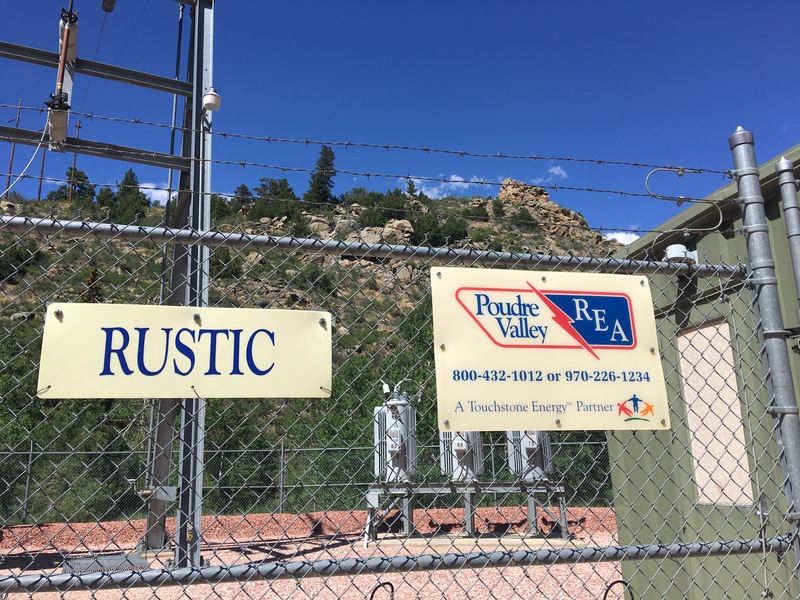 Immediately past the substation, the “official” beginning of Sevenmile Road is marked by a gate and some signs. 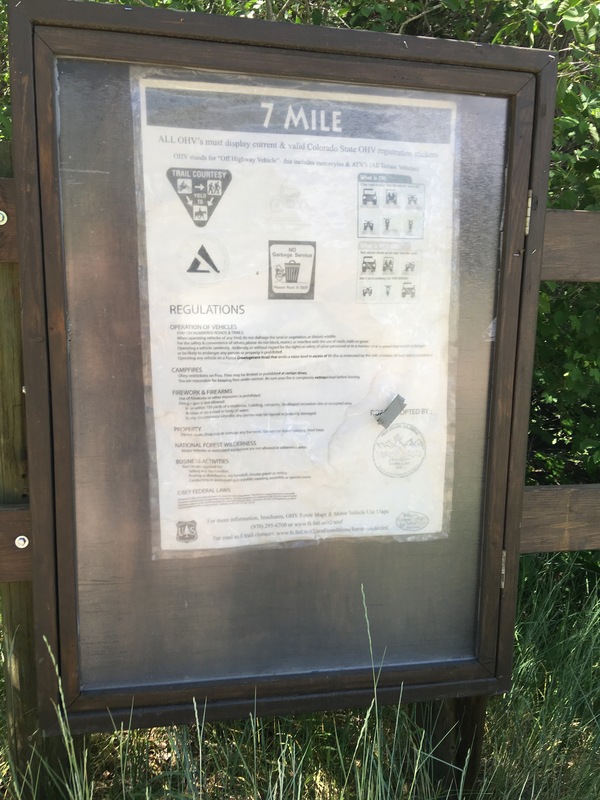 Sevenmile road is open to any and all traffic, including “manual” traffic such as hiking, bicycle, and horseback, as well as motorized including OHVs. This is certainly a fun trail for Jeeps and other offroad vehicles. The tricky sections involve large and medium sized rocks and all have multiple lines through them. 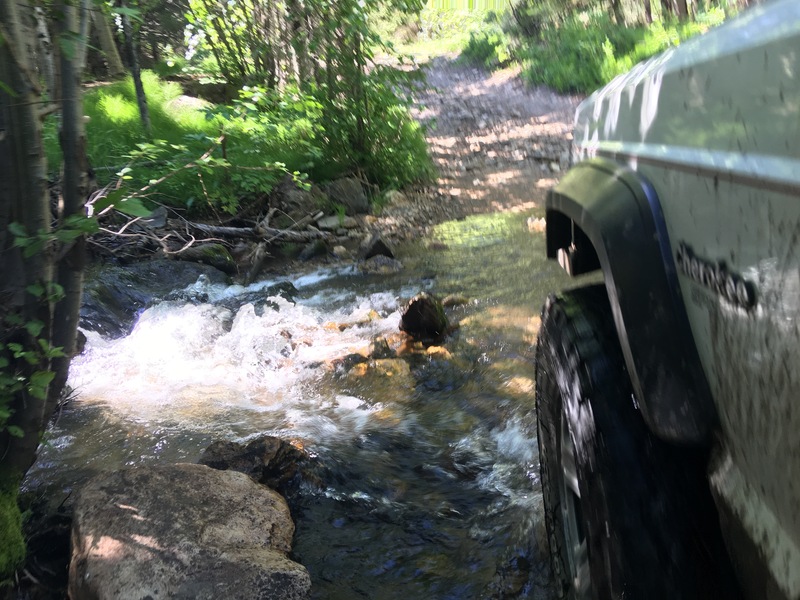 Creek crossings during peak spring runoff could make the trail impassable to all but higher clearance vehicles, and it is evident the creek can and does flood the road on occasion. Most years the road remains closed through peak runoff season. While this route into the 171 network certainly isn’t the most accessible, it is certainly fun if you have a vehicle capable of it and a good way to get off the main roads quicker. There are also opportunities for camping and shooting in the canyon as well as some abandoned mine sites, cabins, and an optional obstacle for offroad vehicles to attempt.